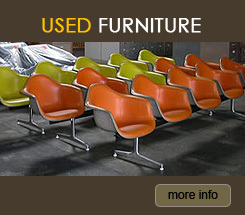 Advanced Liquidators Inc. specializes in new and used office furniture. 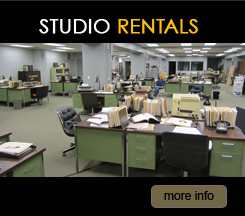 As well as studio rentals. For 35 years we have offered unbeatable prices paired with unequaled customer service that consistently exceeds our clients’ expectations. Our furniture can be found on countless Movie and TV Show sets. We represent numerous manufacturers and offer a vast variety of merchandise. If you need it, we have it. 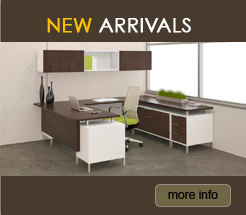 We sell desks, chairs, file cabinets, computer desks, partitions, modular furniture, conference tables, reception pieces, etc. Our current slogan is, "Best Bargains in Town." Come visit us on the web for weekly specials and continuous bargains. 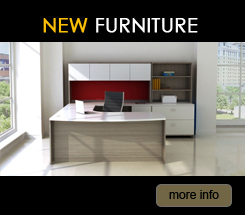 Drop in any time and see our huge office furniture showroom at 10631 Magnolia Blvd., North Hollywood. If you're looking for studio rentals, we would love for you to drop by and tour our Prop Warehouse (80,000 Square Feet) at 11151 Vanowen St, North Hollywood. …Whether it’s one chair or an entire office, your satisfaction is our business.